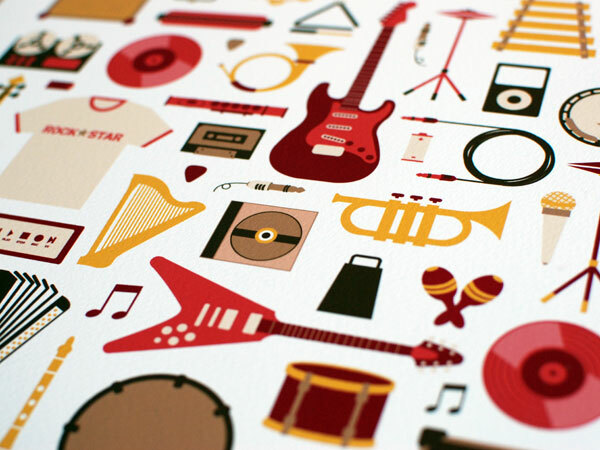 When I moved into my first flat the majority of things adorning the walls were block mounted posters – band, show and gallery posters were all given a longer life mounted on a bit of MDF. I’d kind of forgotten about block mounting until I bought this fabulous poster for my older boys’ room – it called out for simpilicity, no fussy frame, so I had it mounted and the result is perfect. Artist Emily Dumas created Jam Session as a piece that would appeal to both boys and girls and simply because she loves music. Perfectly combining the old and the new, CDs sit alongside turntables and electric guitars sit alongside acoustic. 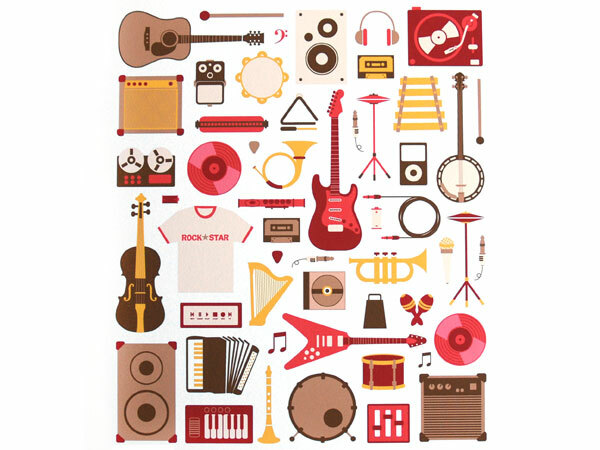 There’s a French horn, a clarinet, a harmonica and an iPod but my favourite element is the ‘Rock Star’ t-shirt. 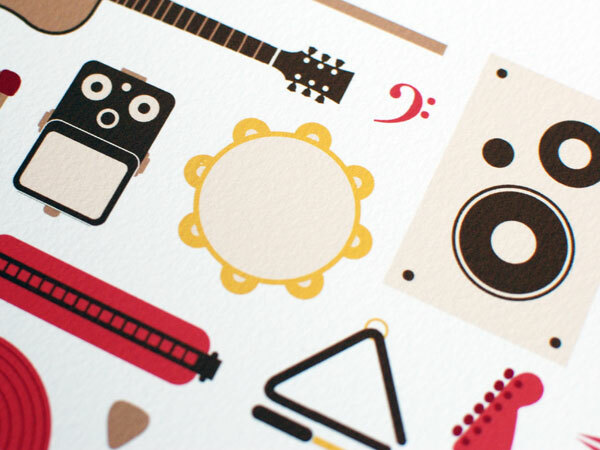 Jam Session is a limited edition of only fifty prints and each is signed and numbered by Dumas. Prints are available through The Working Proof, an organisation that promotes art and social responsibility. Each print is paired with a charity of the artist’s choice and fifteen per cent of the sale of each print goes to the nominated charity. Besides showcasing emerging artists and great artwork, the intent of the Working Proof is to promote a variety of charities and to expose them to new supporters through the appreciation of art. The Working Proof releases a new print every week. Dumas chose to pair her print with Little Kids Rock, a music education program for young children. The Working Proof ships to Australia. Jam Session is US$40.